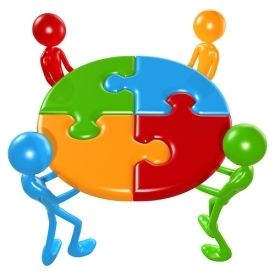 Collaborative learning theory is a learning approach with the goal of constructing knowledge to solve a problem or complete a task by a team of diverse learners (Shukor, Tasir, der Meijden, & Harun, 2014; ChanLin, 2012). Collaborative learning theory developed from combining the work of Jean Piaget and Lev Vygotsky’s research on learning when you are ready and the need for help to advance to a higher level of knowledge and understanding (Shukor et al., 2014; ChanLin, 2012; Iqbal, Kousar, & Ajmal, 2011). Within criminal justice studies, collaborative group learning is a very popular learning activity in the majority of classes because it provides an opportunity for student-to-student learning, case study analysis, developing conflict resolution communication skills, and working as a team to accomplish a common task (Payne, Guastaferro, & Mummert, 2011; McMay, Gradel, & Scott, 2013). All of which are required skills for studying and working in the criminal justice system (Payne et al., 2011). There is a difference between cooperative learning and collaborative learning. 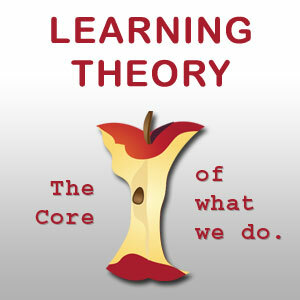 Cooperative learning is formal structure of passive learning usually associated with professor-centered teaching strategies (Meetoo-Appavoo, 2011; Choi & Kang, 2010). Collaborative learning is associated with social constructionist concepts that new acquired knowledge develops from a social construct (Meetoo-Appavoo, 2011; Choi & Kang, 2010). Choi and Kang (2010) found that classroom professors using collaborative group learning strategies should include the use of educational technologies that support group collaboration guided by the professor using active constructivism pedagogy to enhance learning with 21st century learners. Creating the collaborative group-learning environment is the responsibility of the class professor who selects members to form a group of diverse learners (Payne et al., 2011; Choi & Kang, 2010). The goal in creating learning teams is that members learn acceptable by social interact and establishing effective communication skills as they take responsibility to be an active participate (Payne et al., 2011; Choi & Kang, 2010). The classroom professors roll as a supportive coach allows students to settle in as the group organized and prioritizes required task to complete the assignment. The most important characteristic of the collaborative learning environment is the student positive attitude towards cooperation and learning flexibility and negotiation problems in a diplomatic way through effective group dialog (Valentine-Maher, Van Dyk, Aktan, & Bliss, 2014; Stump et al., 2011). To establish a creative and respectful learning environment the classroom professor needs to guide and encouraging the learning team to develop group norms or rules for respectful communication, democratic conflict resolution, deliverable deadlines, engagement expectations, and roles for members to accomplish the task on time that meets or exceeds the assignment expectations. Collaborative learning theory works well in criminal justice studies and has an opportunity to enhance the learning experience if properly introduced to students and allowing them to have input in the learning process. Iqbal, M. J., Kousar, N., & Ajmal, M. (2011). Collaborative learning: Myth for distance learning? International Journal of Academic Research, 3(4), 605-608. McMay, D. V., Gradel, K., & Scott, C. (2013). Using problem based learning to develop class projects in upper level social science courses: A case study with recommendations. Creative Education, 4(1), 62-70. Shukor, N. A., Tasir, Z., der Meijden, H. V., & Harun, J. (2014). Exploring students’ knowledge construction strategies in computer-supported collaborative learning discussions using sequential analysis. Journal of Educational Technology & Society, 17(4), 216-228. Stump, G. S., Hilpert, J. C., Husman, J., Wen-Ting, C., & Wonsik, K. (2011). Collaborative learning in engineering students: Gender and achievement. Journal of Engineering Education, 100(3), 475-497. Posted in Mark's Articles and tagged Andragogy, collaborative group learning, Collaborative Learning Theory, Criminal Justice Studies, Learning Theory, Teaching Criminal Justice Studies. Bookmark the permalink.